It’s always struck me in the whole story of the Ring how difficult it is to deal with it. No one knows anything for certain, no one can be 100% sure that right decisions are being made and no one knows how it all will end. Realising how powerful and dangerous a thing one is carrying cannot be of much help either. What a horrible burden to carry! And I am also struck that Gandalf, who has been a carrier of burdens for so long is excluded from carrying the biggest burden of them all and to give it to a hobbit. That must have been hard. I need to think more about it. What a wonderful post! “Thy word is a lamp unto my feet, and a light unto my path.” Yes, a little direction would be splendid, but that’s all we get and that is enough. Any more could interfere or blind us completely to reliance on God’s direction. Frodo is the perfect Ring-bearer because of his emptiness of power and worldly wisdom and inability to destroy the Ring. Because of this, God can pour His grace into this malleable instrument without having to take the time and bother to empty him of arrogance, overconfidence, selflishness etc. before He can use him. 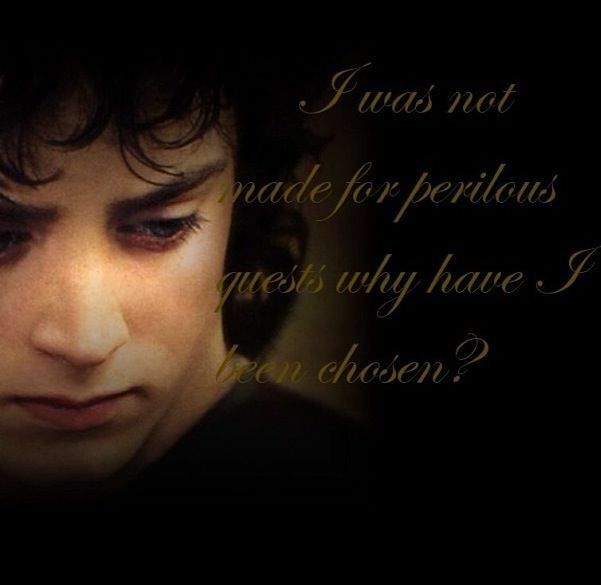 Frodo trusts in this Chooser while he doesn’t even know Who it is, incredible really, and a great lesson for us all. Love Olga’s words too. Not knowing for certain what steps to take or whether they are the right one to take is part of daily life and lends so much reality to the tale. The walk of faith is a cloud of unknowing through which we must pass. The writer of that wonderful book states that it is impossible to grasp and to hold God through our knowledge but only by love. We are so anxious to know. 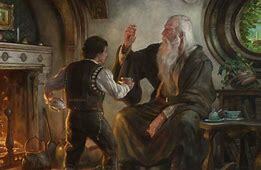 Is Tolkien creating a world in which obedience has to come from love and not knowledge? As you put it so well, we have so much unlearning to do. Frodo is able to make the journey in complete innocence accompanied by one who is a true holy innocent. When are you going to return to the Shire?